In April 2017, section 227ZM of the 1995 Act was amended to reflect new reporting requirements arising from the Community Justice (Scotland) Act 2016. The amended 1995 Act requires each local authority in Scotland to prepare an annual report ‘on the operation of CPOs within their area during that reporting year’ and send a copy of the report to Community Justice Scotland. The Scottish Ministers may issue directions to the local authorities in relation to the content of the report. 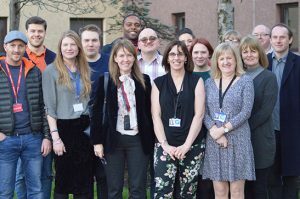 Community Justice Scotland will arrange for a summary of the narrative reports to be laid before the Scottish Parliament and publish, together with or part of, the annual report on performance in relation to community justice outcomes under section 27 of the Community Justice (Scotland) Act 2016. These reports provide an overview of activity completed by people in local areas subject to a Community Payback Order (CPO). A focus is placed on unpaid work, other activity and additional issues affecting service provision in order to inform on the range and breadth of such activity, and the benefits this can have across whole communities in Scotland. 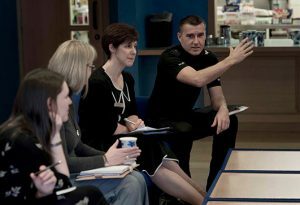 Those who engage with a CPO stand to improve their lives, and the lives of their families by receiving often bespoke support to address the causes of their offending. Reports covering the reporting year 1 April 2016 to 31 March 2017 and 1 April 2017 to 31 March 2018 are the first to be published under the new reporting arrangements. Previous summaries can be found on the Scottish Government website at: http://www.gov.scot/Publications.